Post have been on the thin side on this blog primarily because I don't really have a need for full blown Revit these days populated with lots of information. I'm more into the BM than the BIM for small domestic schemes that I do these days. 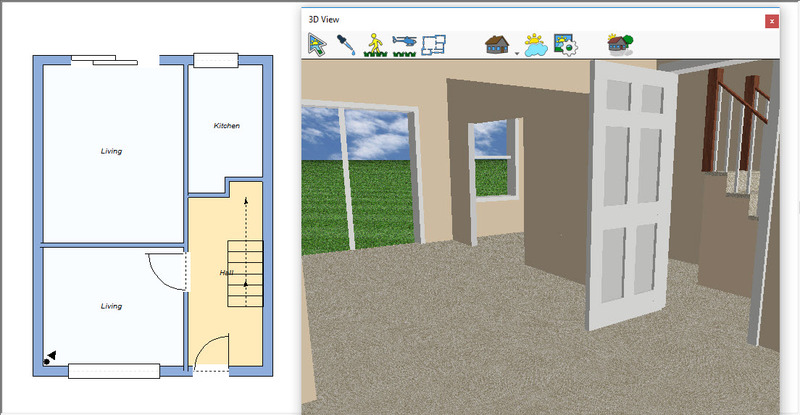 As and existing Avanquest Software customer I was offered 3D Architect Express version 18 software for £10 usual RRP £25.99 and thought why the hell not, lets have a play and see how user friendly it is. I had a scheme where the client was having trouble visualising the 2D plan I had sent her. In no time at all I had made two models. The software is extremely intuitive to use and I had not looked at any of the videos, which I will do now to see what else I can get out of it. Placing a camera in the corner of a room and looking at the opening in the wall between the Kitchen & Rear Reception from the front reception was a piece of cake, I should have made the stairs a little longer but I was just playing. As Version 19 has just been released I'm sure I will be offered a cut price update shortly. I did ask if I could jump onto beta testing but it appears that's not possible at the moment. 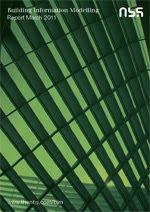 There is defiantly a need for a much lighter and much cheaper version of Revit LT especially for the smaller practice. Hell I may have to take another look at dare I say it Sketchup ! and other economically priced 3D offerings. Personally I like to own my software and not use it off a cloud based system or pay as you go format, if its reasonably priced I will update it if the updates and improvements are actually worth it. IMHO there was no need for most of the improvements in AutoCAD after the 2004 version. News released today by the Associated Builders and Contractors [ABC] at 11 a.m. Eastern –”Autodesk’s advanced full lifecycle construction technologies and training brings innovation to 21,000-strong ABC membership”. As outlined in the news release [made today by company executives in Washington, D.C., during ABC’s Legislative Week] the goal is to enable construction professionals to work smarter by harnessing the power of the digital era to help increase productivity, reduce redundancy and eliminate waste. OK being based in the UK who may or may not be part of the European Union in a week or so there, does not appear to be any real substance to the press release as far as I can see unless they are offering substantial discounts to ABC Members. On first view you think this is kind of interesting that Autodesk want to do this bearing in mind their history with regards the amount of legal fees they have spent trying to keep the dwg format to themselves. Don't want to be so friendly and open about that one do they. Then the penny drops, of course IFC is basically similar as the DXF format, i.e. a way to exchange data, that keep the native software format out of competitors hands, so the only question is why are they only doing this now? The users wanted this a few years ago. The About Autodesk below should read Autodesk sell software to make shareholders profit and basically the staff are fantastic and would like to give the users what they need, however the company business objectives get in the way and stops that happening. I'm still waiting for NanoCAD to create NanoBIM or someone similar to create better cheaper 3D modelling and BIM tool as the cost of the current software is excessive to say the lease. A more open IFC format makes that possibility. I've been a little light on posts on the Learning Curve due to a healthy amount of projects awaiting my attention and the rebuilding of the LRUG London Revit User Group new web site. I had lined up someone from Autodesk to present at LRUG in March, but it appears he will no longer be working for them as a result of the Autodesk 10% reduction in staff. "As we progress through our business model transition, we continue to take a comprehensive look at our company to see where we can be more effective and efficient. To realize maximum value for both our customers and shareholders, and as a follow-on to previously discussed cost reduction actions, we are restructuring so we can focus resources on areas that will accelerate the move to the cloud and transition to a subscription-based business," said CEO Carl Bass. Thanks for that Carl that's of real value to me as a customer and someone who runs a User Group for Autodesk products. Actually there are lot's of us out there that don't want to use the bleeding cloud! Especially last week with BT and VIrgin when we lost our internet connection for a day, it was like going back to the early days of LAN's and not wanting a Network copy of your software. However, postings on discussion board TheLayoff.com from users claiming to be Autodesk employees suggest that cuts may, if anything, be even more severe in the product development teams. As yet, the reports are uncorroborated, but we’ve contacted Autodesk, and will update if we hear back. What a loaded question, where is the Minority of Projects option? Not ALL - Majority - Never and Don't Know ! Come on RIBA get real and think about what you are asking or perhaps and you are asking the questions that will give you the results your actually after and not the real picture of what is actually happening at the pointy end and not just at the major government players. 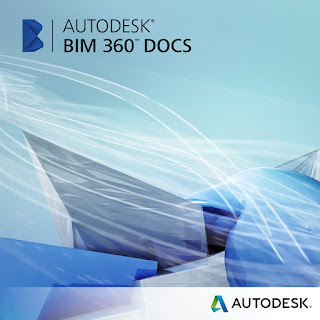 Formerly known as Project Alexandria, Autodesk BIM 360 Docs is marketed on the basis it will help to save time, reduce risk and errors in construction projects. BIM 360 Docs is designed to ensure that the entire project team is building from the correct version of documents and plans. This is nothing new construction companies many of the larger ones have been using document management systems for some time, they can be a god send or a curse in equal measure. Some of them have illogical dashboards and require a couple of days to learn how to use them. "The Autodesk Structural Fabrication Suite, which includes Autodesk Advance Steel 2016, AutoCAD 2016, Autodesk Revit 2016 and Navisworks Simulate 2016, offers tools to better connect structural design to detailing by allowing you to work more collaboratively within a BIM environment. Revit, AutoCAD, and Advance Steel together can help users streamline the detailing process by integrating steel detailing expertise alongside the design. Advance Steel’s model based environment helps users produce accurate detailed drawings faster, helping to speed time to fabrication. The inclusion of Navisworks Simulate helps extend fabrication to the field by supporting estimation, coordination, and 4D simulation of steel projects. 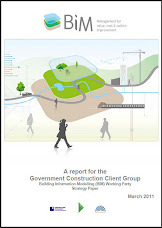 Models can be easily shared and viewed with contractors, improving coordination and reducing waste." The reality is that especially in the UK not many structural engineers actually details the connections in a steel; framed building they provide the moments and shear loads and leave it to the steel manufacturers to produce. Indeed if you actually bothered the steel manufacturer would normally replace it for one of their own anyway. So in the UK I see a very limited user base for this suite. OK so what is Advanced Steel - Its another program that Autodesk have purchased, modified and now piggyback it off Autodesk. The Video below is very informative. Regarding the Revit and Advanced Steel workflow and connectivity there is a video below however the narrators accent plus he appears to have his head in a galvanised bucket producing loads of echo and reverberation is so strong it's detrimental to the watching experience unless your really into 'Allo 'Allo! Hopefully a heads up to Autodesk about accent, diction and sound quality of recordings on demo videos. In the UK can only really see fabricators buying this suite and most of them already have their own software, so additional copies for existing Advance Steel users maybe but very few structural engineering practices would buy this. The odd one or two like Arups and Atkins may want to buy Advanced Steel on it's own to add to their existing building design suites. "The MEP Fabrication Suite is a portfolio of interoperable 3D construction software that enables MEP contractors, detailers, estimators and fabricators to move to BIM based workflows at a lower cost of entry. The Suite offers tools to streamline your detailing and fabrication workflows, including the latest versions of CADmep, ESTmep, CAMduct, AutoCAD 2016, Autodesk Revit 2016 and Point Layout." 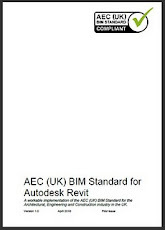 So where does this leave Building Design Suite owners who only want to pick up CADmep, ESTmep, CAMduct and Point Layout already having their copies of Revit and AutoCAD 2016?. Autodesk are seriously worried about the switch to the subscription format and these suites and the new pricing structures benefit the larger companies but not the smaller companies. Revit & Dynamo - What Is It & How Do I Use It? Dynamo is a new way or working with Revit, its an open source application not owned by Autodesk (yet) but it has been shipped with Revit since 2015. 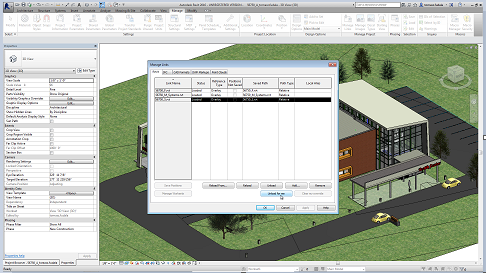 It adds intelligence and extends the logic & functionality of Revit. It's a very visual programming language that allows you to add behaviour to the model that makes it easy to automate tasks. Below are a couple of recent webinars that have introduced Dynamo to users. This recorded webinar will introduce you to Dynamo, an open-source add-in for Autodesk Revit. Dynamo gives Revit users a fundamentally new way of working, with new tools to solve design problems. Learn how this easy-to-learn visual programming environment has practical uses in in your day-to-day Revit work. Dynamo is creating waves in the industry as a visual programming tool that greatly extends the power of Revit. At the end of this presentation you will understand what Dynamo does very well and how it can help you improve quality, simplify design iterations and reduce tedious tasks in Revit. After the 5 month the free* technology preview of Autodesk® Seek for Revit is nearly over and the Add-in goes live on Monday 2nd November 9am Eastern whatever that is in GMT. Autodesk® Seek for Revit allows you to conveniently access high-quality BIM models, drawings, and product specifications for more than 66,000 commercial and residential building products, representing over 400 manufacturers, from inside Autodesk® Revit® 2015 or 2016 software. When seek started in 2007 the content was, shall we say very iffy, and no better than lots of other AutoCAD block and Revit family collections on the internet. As a CAD and BIM manager I didn't want users downloading and using content gathered off the web because of the problems they can bring with them. 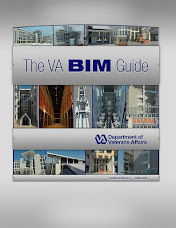 In 2009 the Revit Model Content Style Guide or RMCSG was created . 3. 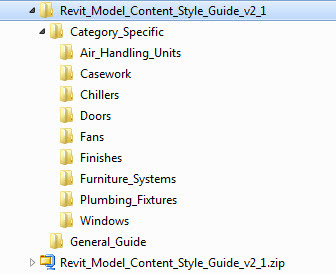 Navigate to the Extract To folder you specified, and open the Revit_Model_Content_Style_Guide_v2_1 folder. 4. 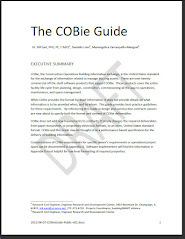 To begin, open the General_Guide\Revit_Model_Content_StyleGuide.pdf file. 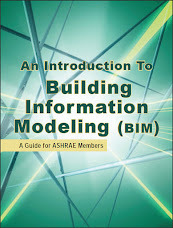 Review this document to understand the workflow and basic guidelines and standards for model creation. 5. Open the Category_Specific folder, and notice that there are subfolders for specific part types. Open a part type subfolder, and review the documents and cample content as required by your content needs. Despite the Autodesk QA system I suspect that a lot of BIM Managers will still want to vet anything going into their companies Revit models, until they have total faith in the Autodesk QA system and you have to face it there have been problems with Autodesks produced families in the past, and the system has to prove its self worthy of their trust. That being said it's great to see positive steps being taken by Autodesk to improve the Seek service and quality of content. Hopefully it will mean a faster rubber stamping by the company BIM Manager to use it. There are programs out there that assist BIM Managers in company content management but that's for another post on another day. LRUG hope to be running some family creation sessions next year, and it will be good to get some feedback from members on the new Seek add-in and the quality and actual use of the content and any internal vetting systems that are in place. 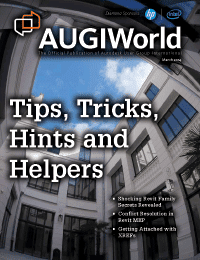 Great news for Autodesk Revit software subscribers. Autodesk have released a major update for Revit today to both Maintenance Subscription and Desktop Subscription customers*. 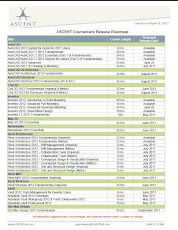 Autodesk state that "this Revit 2016 R2 represents significant incremental value for Autodesk Maintenance and Desktop Subscription customers who get immediate access to the most current Revit capabilities." At the moment there are lots of questionnaires regarding the value of Autodesk Maintenance and Desktop Subscription being asked on the Autodesk Advisors portal and Autodesk and their Dealerships have been warning of the impending end maintenance subscriptions and migrate to a total "rental-based" model. Autodesk are not the first to do this Microsoft have already gone there with Office and I really don't know why they keep asking for users opinions as they are going to do it anyway. The real problem as I see it, is the burden it places on Autodesk to actually perform. When we were all herded to jump on the subscription wagon rather than upgrade when significant improvement warranted such an upgrade we were enticed with Subscription Advantage packs half way through the year. That worked fine for the first couple of years and then the quality and return in investment dropped significantly and many users and bloggers were wondering was Revit dead. No it's very much alive but still has a crap text editor which has been high on the users wish list for some time. Can Autodesk keep up the quantity and quality of improvements to Revit on a regular basis, and actually give the users what they need rather than fluffy stuff, who knows but they have set themselves one hell of a target to perform, and this time they really have. o Orbit, pan and zoom more quickly with the new Draw Visible Elements Only option. Revit improves navigation speed by working only on displaying the visible elements of a view. This occlusion culling is especially beneficial with complex files and views in which regeneration of a significant amount of content is suppressed. o Keep working during update of color schemes and the associated color fills with Color Fill Background Processing. 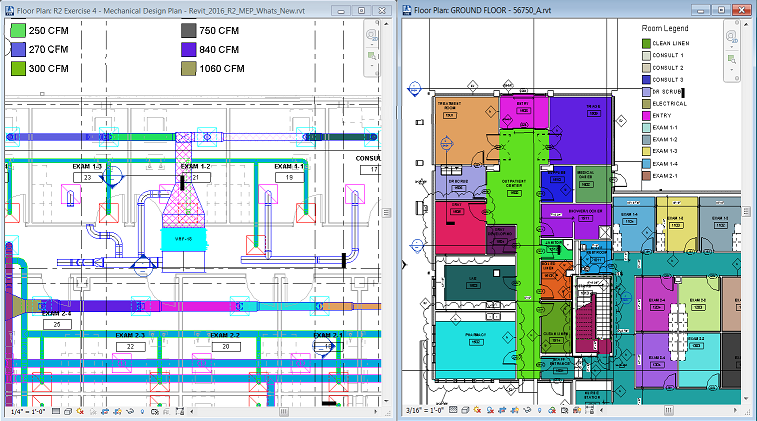 Revit 2016 R2 updates room, space, HVAC zone, duct, and pipe color fills using multiple CPUs, which alleviates model interaction delays associated with these computations. Revit 2016 R2 updates room, space, HVAC zone, duct, and pipe color fills using multiple CPUs. Image courtesy of Autodesk. 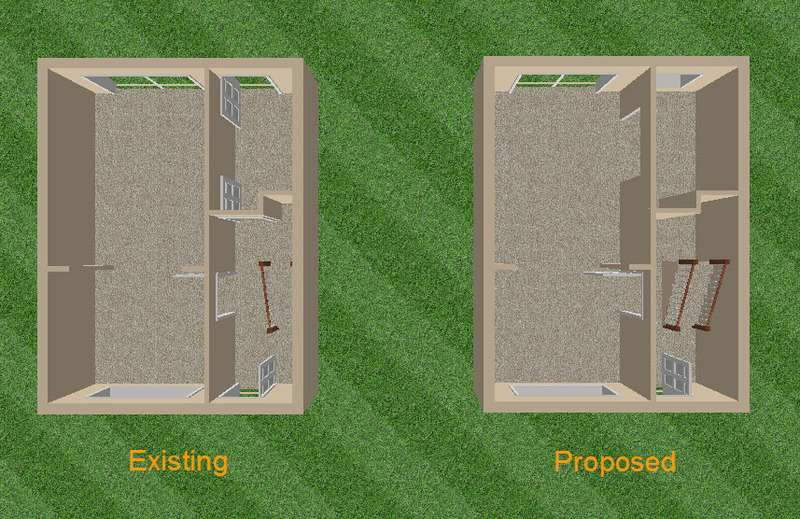 Smarter: Revit 2016 R2 has new and improved tools to help users better-capture and embed design intent in a model. o Embed design intent in a model by using project-wide parameters to drive dimension and element instance parameters with the Global Parameters feature. A global parameter can measure dimensions and calculate formulas to drive dimensions and parameter values in other elements in the project. o With Family Visibility Preview, get a better view of design intent by filtering out geometries that are not viewed. Work more quickly by previewing geometries and making adjustments before loading a Family into a project. Unload links per user to increase performance and improve memory usage without affecting other project team members. Image courtesy of Autodesk. Autodesk state "As an incremental install, Revit R2 can be less disruptive for users and administrators by spacing out changes vs. incorporating larger annual updates. Any downtime or disruption to work processes can be more easily out-weighed by the gains in performance, usability and stability." Autodesk Revit 2016 R2 is available to Maintenance and Desktop Subscription customers worldwide starting today, October 22, in the following languages: Brazilian Portuguese, Czech, English, French, German, Italian, Japanese, Korean, Polish, Russian, Simplified Chinese, Spanish and Traditional Chinese. How to work with supports in Autodesk React Structures. Autodesk® React Structures software is a free technology preview of structural analysis software for BIM that provides intuitive tools to quickly analyze a variety of structure types within a single software platform. Autodesk® React Structures is intuitive structural analysis software that connects to the BIM process. Download the technical preview for free. Autodesk wants and need your feedback. This is an early look into what they are building. It is by no means complete and you will see things that are not enabled or maybe even missing. Rest assured, they will be coming. The React team will be providing frequent updates which will expose new functionality and features, incorporate your feedback, and fix issues that you identify. They will be asking for your opinions on the things they are working on, and they might even ask you to test out a workflow or two and give them some feedback on how it went for you. This is the opportunity to tell Autodesk what you need from your next analysis tool. Great customer feedback is one of the most important building blocks for a great software product. So download this Technology Preview, have a look at what has been built, tell them what you think and what you need next, and tell them where you want this product to go. OK Cool Video and I have subscribed because I'm curious how useful a resource this is or is not going to be? Is just going to yet another social media resource like Linked-IN, Facebook and the numerous other or will it offer something new, refreshing and informative? The test will be if you are still going back after the first month after launch as we are all being BIMmed to death! Social networking section, the heart of the website, members can follow in one place all activities of the community, they can add new friends like Facebook or follow other members like Twitter, they can join local groups and be part of many sub-communities organized by software’s and fields, they can post updates and photos also like most of social platforms. Blog section where we publish a weekly products reviews and BIM news, not only the website editors can post in this section but all members can do it and write about topics they like, news or present simply their projects or products for example. Discussions section zone where members can start threads and ask for technical support or other members opinions, a forums like area. 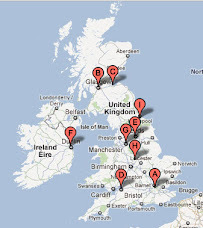 Events section to gather all BIM related events, local and international, webinars, training sessions, workshops and BIM friends meetings around the world. All members can post and join events. Gallery section, a BIM show area where members post their projects renders, a great place to see what the other members are working on, you will find videos and tutorials about BIM softwares. 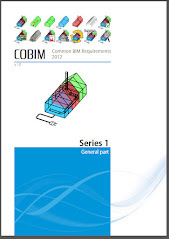 Downloads section where members can share many types of contents: BIM objects (ex. Revit families), documents, applications and plugins. Business section where we list all BIM related products, services, jobs, trainings, companies and freelancers, you can find and add with ease your own listings and get members reviews. This is a significant step towards Keysoft solutions expanding their Building Information Modelling (BIM) solutions and responds to the growing need to visualise landscape proposals in 3D. Mike Shilton says "The plan over the next few months is to take the best from KeySCAPE and LANDCADD to provide a single, integrated solution in the near future". 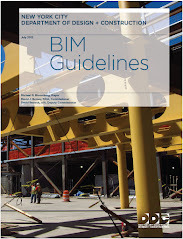 PAS1192-2 due to go to public consultation on July 31st, this is to align the PAS with the other documentation prior to packaging the Government BIM Level 2 guidance and standards in September. 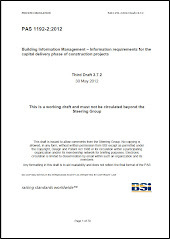 Consultation period is only four weeks and the draft will be posted here: http://drafts.bsigroup.com/. OK I had missed this one, but now I have found it I've added it to my blog so I can remember where to find it. Basically Ideastation is where users can go to give product enhancement ideas. You can filter the site by product as well so you can see just the ideas for Revit, AutoCAD, Inventor and any other product Autodesk offers. You can search to see if what you were wanting has already been asked for and if it has you can give it "Kudos" basically liking it showing Autodesk how many people really want this idea. As well as see what comments have been added some are work arounds people have been using that might be helpful until the idea is implemented. You can also see the stage it is at some ideas are in Review others have been accepted. It is a great way as a user to get your ideas or wants out there and you might be surprised how many other people want them too. 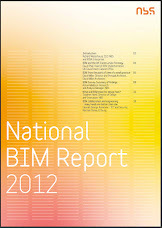 With just months to go until the mandated use of Level 2 BIM on public sector projects in 2016 this year's report acts as an essential barometer for the construction industry's readiness. 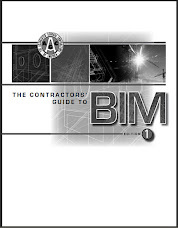 Essential reading for those adopting – or considering adopting – BIM and available completely free to download. The NBS BIM toolkit designed to help users complete projects to Level 2 BIM moved its public beta phase on Wednesday 8 April at BIM Show Live in Manchester. This allows the industry to begin trialling the toolkit and giving valuable feedback for the final stages of development, before it is officially launched in the summer. Comprising a new unified classification system and digital plan of work, the NBS BIM Toolkit public beta is free to use and is now available for construction professionals to use on Level 2 BIM projects. Users will benefit from step-by-step support, enabling them to define, manage and verify responsibility for information development and delivery at each stage of the asset lifecycle. BIM 2016... Are you REALLY Ready? 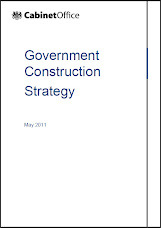 A series of 4 traning BIM Webinars, in readiness for Level 2 BIM Government Target in 2016. 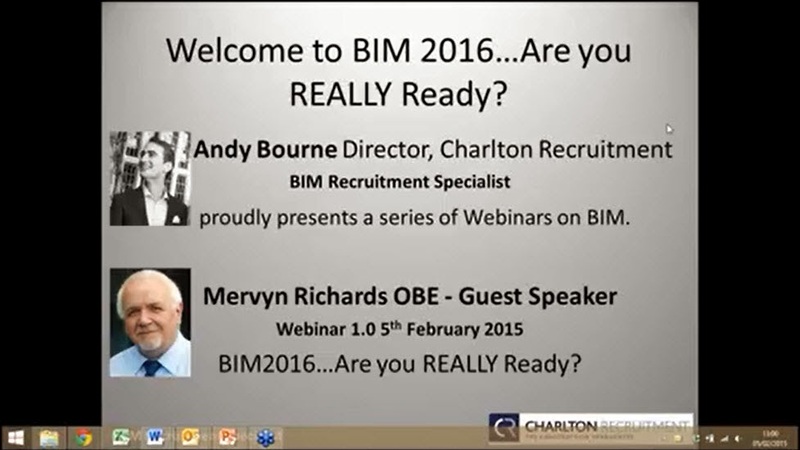 Charlton Recruitment introduces “BIM 2016.. Are you REALLY Ready” a must see webinar series for anyone involved in Government construction projects as the Government's own 2016 deadline looms ever closer. Charlton Recruitment will train the market place by bringing BIM Industry experts in an open accessible forum. Project is a key enabler of the move to deliver Level 2 BIM on central Government procurement from April 2016. 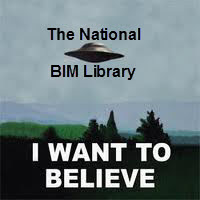 The Institution of Structural Engineers and six other professional bodies covering design, construction, operation and management in the built environment are supporting NBS, part of RIBA Enterprises, in its development of a free-to-use digital BIM tool for the BIM Task Group. 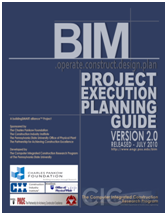 BIFM, CIBSE, CIOB, ICE, RIBA, RICS and the Institution are all providing cross-industry support and technical advice to the project, which is a key enabler of the move to deliver Level 2 BIM on central government procurement from April 2016. 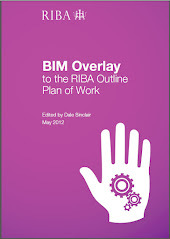 Richard Waterhouse, Chief Executive of RIBA Enterprises, said: “This initiative was always about doing something which helps the entire industry, so to have these organisations part of our project steering group will be a fantastic support and will help ensure we have essential pan-industry engagement’. Everything posted on this blog is my personal opinion and does not necessarily represent the views of any other person or party. 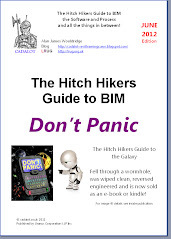 The Hitch Hikers Guide to BIM by Alan James Wooldridge aka cadalot is licensed under a Creative Commons Attribution-NonCommercial-NoDerivs 3.0 Unported License. * Is this site dead? Can't see your Blog or Web site listed here? Subscript - Superscript and Symbols! SFB Beams Have Not Been Updated!